Important informations (in german language only): Config Windows 8(.1) and W 10 for use with Basecamp®. And Basic 's for beginners. What you shout know about Garmin. 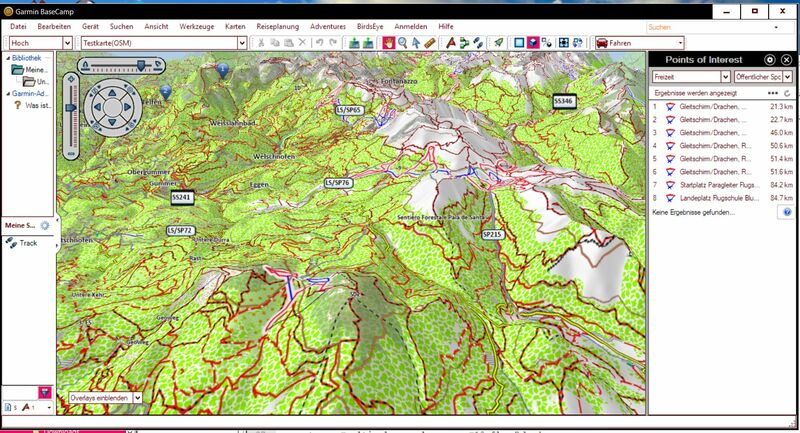 use OSM-maps from 'Lambertus' with Basecamp/Mapsource. Download from my server. Or as YouTubevideo. How to use Mapinstall® to make a gmapsupp.img with different maps. Download from my server or as YouTubevideo. Config the Windows-Explorer in XP and W7, to show all GARMIN® -folders. Download avi-file. Move all Garmin® mapfolders to other partition. Download avi-file. Windows XP : C:\Dokuments und settings\ALL Users\Anwendungsdaten\GARMIN\Maps\. If you use Bascamp only, you can also save in folder C:\Programme\GARMIN\Basecamp\Maps\ . It is strongly recommended to use Basecamp only. But Mapsource is okay only for Streetmap. 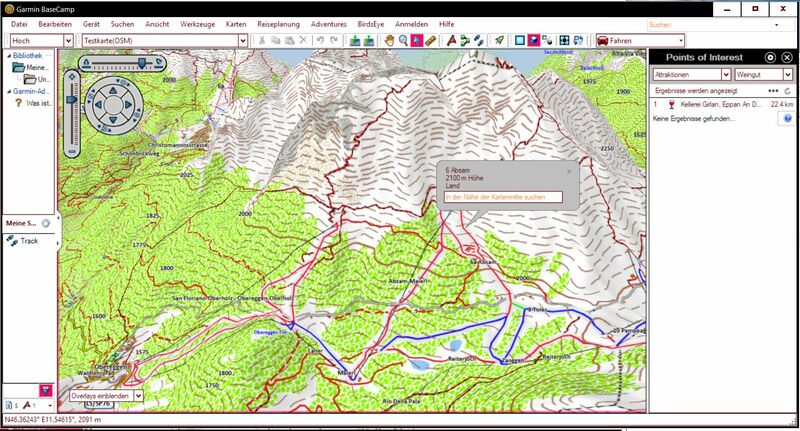 If you want integrate home-made or free garmin- img-files as new mapset to "Mapsource" and/or "Basecamp" (® Garmin), you must do some difficult things like create registrykeys, .TDB und previewfiles. It is a highrisk job. If you make a mistake, the computer or "Mapsource" can go down. How the software works : Software procreated a .TDB-file and a preview-file. Four steps to go : 1: select the img-files (= maptiles) or 1 gmapsupp.img. Img-files must named with 8 numbers and .img or filename must end with .....gmapsupp.img. 2 : type in a name for showing in "Mapsource"/"Basecamp", 3 : only in fullversion : type in a individuall ID-Number. ID-number is always automatically created in a saver way. Demoversion uses only ID-number 1001. 4 : click 'next step/add to mapsource'. That's all. Another method is to use existing .tdb and preview-files, optionaly also .mdx and _mdr.img and .trf files files. Typicaly OSM-mapsets has such files in the download. In this case you can register it in the registry without using cgpsmapper/cpreview. The software can also delete mapsets from "Mapsource". Also you can analyse the registry. If there are failed keys, it can kill the failed keys. In this case, the failed keys will displayes as '!!Fehler!!'. You can select a homemade typefile or from internet and then the graphic will change like typfile is made. 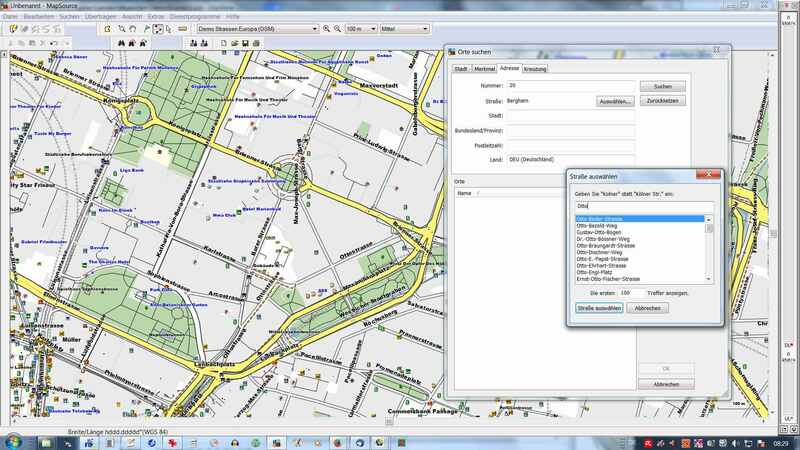 This is possible for all mapset, also for locked mapsets and mapsets in the new 'GARMIN'-gmp-format.. The Software can add any typ-file for existing mapset's. FID will automatically corrected.